Random House is the world’s largest English-language general trade book publisher and has been a leading force in the Indian book market for several years. Random House India started its operations in July 2005 and their acclaimed writers include Rujuta Diwekar, Anita Desai, Namita Devidayal, Mohammed Hanif, Jhumpa Lahiri, Manju Kapur, Daniyal Mueenuddin and Basharat Peer. 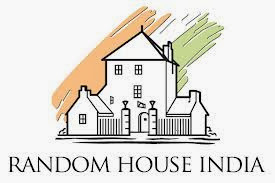 As part of the overseas structure of The Random House Group in the UK, we also distribute our international list that includes writers such as Salman Rushdie, Vikas Swarup, Ian McEwan, Dan Brown, J M Coetzee, Bill Bryson, Deepak Chopra, Edward de Bono, and Robert Harris. 3. Decision taken by the judges will be final and cannot be disputed. 4. The contest is open to all residents in India, albeit residing in places where couriers deliver. 5. Only entries in English will be considered eligible for the contest. 6. 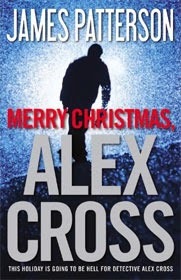 The winning entries will win a copy of Merry Christmas, Alex Cross by James Patterson. The book would be sent within 2-3 weeks after the result is declared. Winner shall be kept updated about the same. 7. Submitted entries should be your original work; no plagiarism shall be entertained. 8. Multiple entries are NOT allowed.